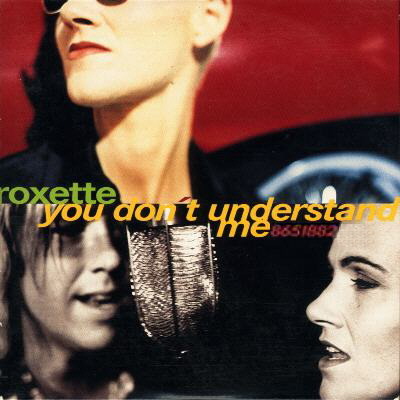 The reason why this song wasn’t a hit is because Roxette were deeply, deeply unfashionable at the time of its release – though there is a strong case to be made that they were never fashionable – just very very popular for a brief period of time. So, with You Don’t Understand Me we are well past the halcyon days of Joyride or Fading Like a Flower. But Roxette on their uppers is still a force to be reckoned with, and just because no-one gave a damn doesn’t mean this single wasn’t any good. In fact, it is wonderful – a strong contender for their best ballad. Now, only a fool would argue that Marie and Per hadn’t been listening to Seven Seconds by Yousso N’Dour and Neneh Cherry before laying this one “down” – and there is nothing wrong with that at all. Recycling is the responsible thing to do. But they took the rhythm and overlaid a classic Marie vocal – athletic, soaring and utterly miserable. You’d be inclined to do something silly at the end were it not for a finish that suggests the sun rising on a new, hopeful day. You see? Roxette painted a picture for you. Of course at this point in 1996 we were deep in The Prodigy‘s territory, so a nice Swedish duo singing about things that had nothing to do with firestarting were never really going to stand a chance. But nearly twenty years on, we can take comfort that Roxette are still out there, with a summer gig at the O2 in Greenwich offering us a chance to sing along to this great lost hit.